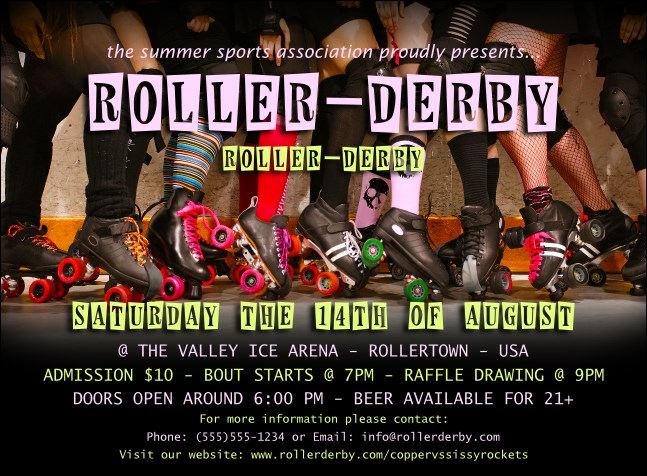 Pass the star to each your fans when you send out Roller Derby Legs Invitations before your next bout. Get ‘em ready to alter their egos with personal Invitations that feature a black background and derby dames with their thigh-highs pulled up, waiting for the whistle. Fill in your bout information into the template and we'll send them your way! TicketPrinting.com puts the wind under your wheels.